A great option for upselling flathead fillets! Deep fry flathead for 3-4 minutes or until cooked, set aside. Combine HELLMANN'S Real Mayonnaise and KNORR Mixed Chilli Puree together, setting a little aside, add cabbages and chilli and toss to combine. 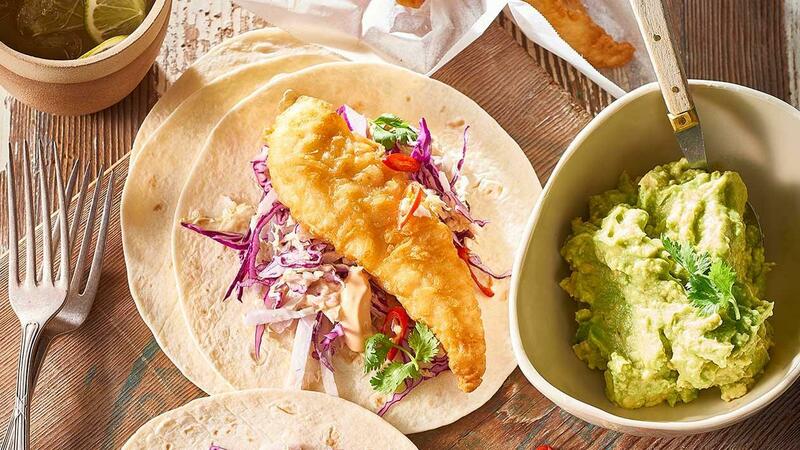 Place slaw on tortillas, top with fish, garnish chilli and coriander, top with remaining chilli mayonnaise and avocado cream.